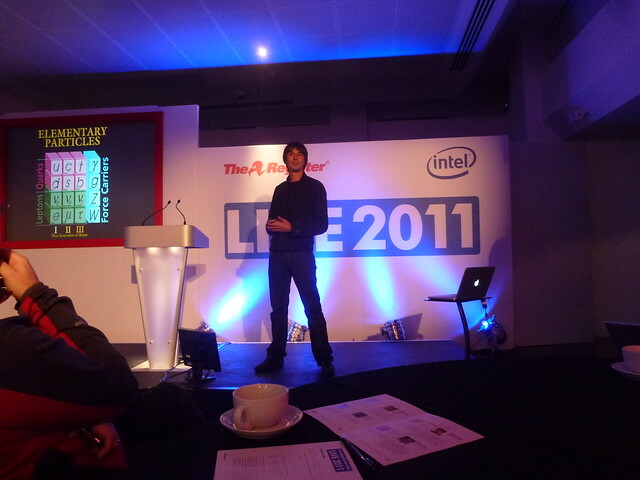 Yesterday I went to an all-dayer of The Register and Intel Live 2011 at Millbank Tower. Fascinating stuff. 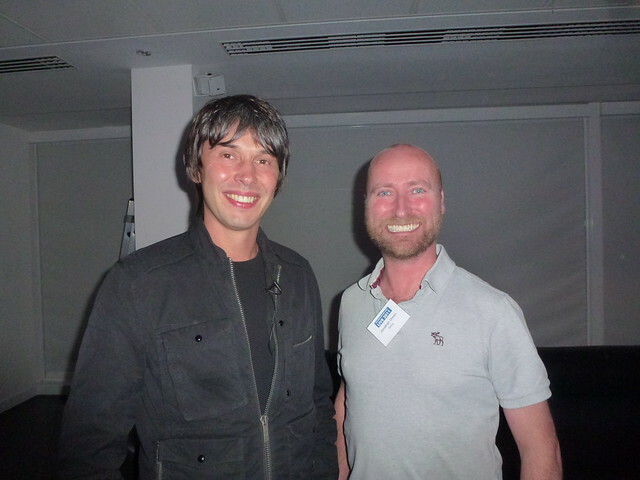 The great and good were all presenting to us: Intel, McAfee, Cancer Reseach UK, CERN and BT. 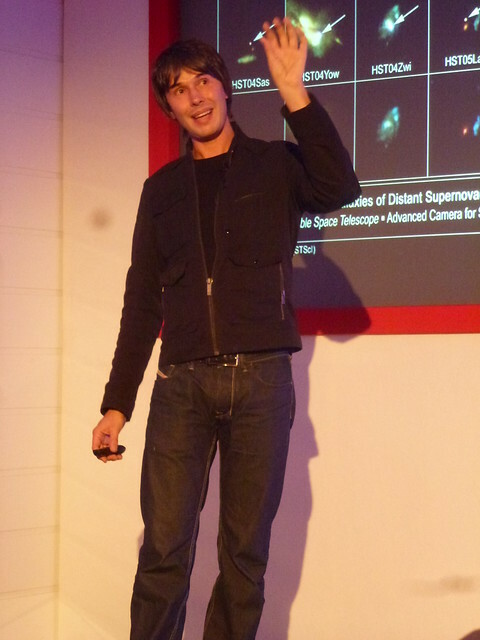 Guest star was the the rather lovely Professor Brian Cox. Slide show of pix here.